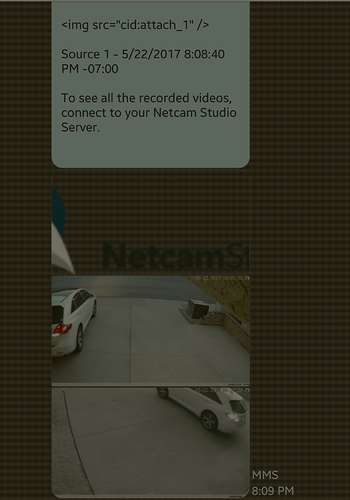 Netcam Studio is an excellent program for monitoring and recording my security cameras. I live in a rural area outside Melbourne, Australia and find the program perfect for my needs. The support from the program developers and their community forums has been exemplary. Netcam Studio is hands down the best and only software I have found to meet the security needs of my organization. My nonprofit ran publicly for 5 years serving public schools in Canada. Our Headquarters and Administration Office that still actively does work today needed a solution for monitoring our documents and the safekeeping of our records. Netcam Studio and their developers and community without hesitation donated two licenses for our organization to use, and has graciously supported us through many developments! If I ever need to use their software on a personal level, I would buy another license in a second from them! I am pleased to give some feedback on the installation at Rakpasa Kindergarten and Primary School in Thailand. The installation has 30 IP cameras (640x480 is enough for our purpose) which are used for security and parent viewing. Some of the parents are expats, and log in from overseas. All cameras are set for 24h recording, and we often have between 5 and 10 parents logged in at once. Rakpasa used Webcam XP for many years (for those that don’t know, this was the pre-runner to Netcam Studio), and migrated to Netcam Studio. Netcam Studio has proved to be extremely reliable and robust, running for months and months without a problem, and I am completely happy with the minimum amount of maintenance that I need to do! A.R.I. Fidenza, Italian Amateur Radio Club operating emergency radio communications in case of natural disasters or special events successfully uses Netcam Studio for the monitoring of its headquarter, equipments and technological installations. Hello, We have been using Webcamxp since 2007. We have vibrated and been happy with every novelty and improvement in the system. Following the migration to Netcam Studio we continue with a great experience of use and receiving greetings from our clients. We install security cameras for home and business. We been looking for software for camera software that supported a wide range of cameras. We have not found a camera Netcam Studio has not worked with yet. This was great news for us as we upgrade and add on to cameras systems and needed support like that. Never mind there support has been just great there has not been a problem that they could not fix for us. We encourage our own customers to use Netcam Studio. Tried so many surveillance software and finally found NCS. Now I’m sure that NCS is the best in it’s sector. We’ve been using Netcam Studio and previously WebcamXP and Webcam7 for almost 10 years. I’ve tried different software from time to time, but always come back to Netcam Studio/WebcamXP/7. It handles the cameras in “Norway’s Smartest Home”, and it does it exceptionally well. The current version is incredible fast while also managing to go rather easy on the CPU. I just wanted to thank you for all your hard work! You must have a passion for programming as you are always putting out new program updates. You are also busy answering emails and helping people solve problems. I bought an Amcrest camera and wanted to use the camera as a weather camera but Amcrest technicians said it couldn’t be done. But after Steve included Amcrest in his camera list I was able to get the camera to show video on my website. I called Amcrest back and let them know that with Netcam Studio 1.5 that the Amcrest camera could be used to show video on a website. Thanks again for your time and help! I have been running Netcam Studio for about a month and have been very happy. Five cameras from two brands, and a mix of WiFi and POE, and it’s all seamless. I use the app on my Android phone to monitor when I’m away from my computer. What I like best is the software is stable - it just works. I also like that Steve continues to address issues in a very quick manner. I recommend this software highly. Update - I also am using e-mail alerts which automatically forward to my cell phone as a text message. Very handy and useful to get the images texted right to me. I am glad to provide feedback for Netcam Studio. We have been using a four camera setup(2 outside and 2 inside) for about 3 years, to monitor our farm which is about an hour away from our current residence. I provides my wife (and me) with peace of mind knowing that we can check the house and grounds at anytime to make sure everything is secure. I have the system set up to email me alert photos and we have ftp configured to copy videos to a server at our residence, thus assuring we have a copy of evidence in case the local server is destroyed or stolen. The new mobile app works great on my iPhone and it’s great to be able to “check in” no matter where we are. I’m hoping to expand to more once I find a convenient way to expand our wireless network. In addition to security, it’s fascinating to catch wildlife. 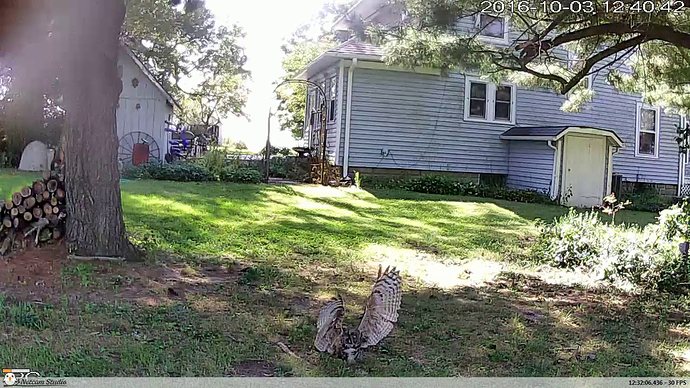 Below are a couple of photos from videos of visiting owls. My pleasure. Wish I could post the video. It’s very cool as the owl swoops down out of the tree! Thanks for the software. We use it every day!! Safely Home is a children’s residential treatment center. Our mission is to bring healing and growth to children with histories of behavior problems who have experienced emotional, physical, and sexual abuse. In an environment such as our, we need to do everything we can to ensure our clients and staff are as safe as possible. When incidents happen the first question is always “can we review the camera footage”? We soon found our current system to be lacking in features our users expect, such as a web interface and mobile apps. After researching several different solutions we found that Netcam Studio was the best solution for us. Netcam Studio gave us the freedom to choose the storage solution and cameras that meet our needs. The ease of installation and depth of features means we can spend less time wading through camera footage and more time improving the lives of our clients. Herkenrode VZW is a Non Profit Organization that is dedicated to maintaining a historical Abbey site. We have various events throughout the year at the Abbey site, ranging from concerts, small festivals to workshops. At the moment we use 2 cameras, 1 For security purposes at a back gate and 1 panorama, in the close future we plan on adding 2 more. 1 at a beehive entrance and 1 in an owl nest. At the moment we stream both cameras on our website. We have been using Netcam for over a year, and we are very statisfied with it, Its easy to use and the streams are working perfect! I used Webcam XP and Webcam 7 in the past but I wanted something that would work seamlessly with my mixture of ONVIF compatible and standard JPEG / MPEG cameras. I tried many options but Netcam Studio was the answer. I used the trial version to ensure that it was what I needed and then purchased a 16 camera license. Took me no time at all to get them all up and running. I use the Android mobile app to monitor while away and I love the ability to set recording or motion control by the app. Netcam studio has not once stopped working since installation. It really is a set up and forget powerful system. Thank you very much for your kind words! 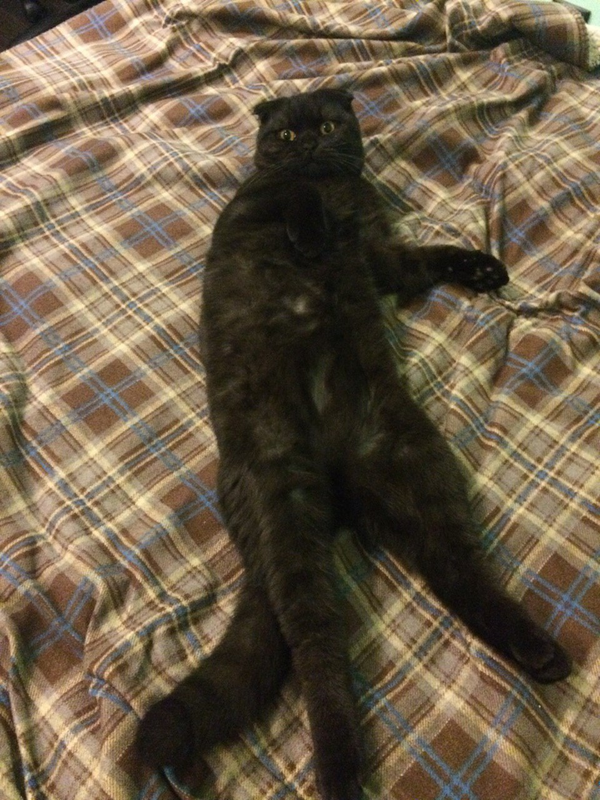 Is there a Lion in laundry room?